Fragrance: Shay & Blue 'Blood Oranges' - Fashion For Lunch. I’ve been wanting to write about Shay & Blue Blood Oranges for a while now, but it felt important to wait until the weather was as joyful, warm and wonderful as the perfume itself. I first discovered this fragrance through my mum, she had a small travel sized bottle of it and she kept telling me about how much she loved it. She couldn’t remember the name, nor who made it, just that it was ‘in a blue bottle’ and it’s ‘just as lovely Jo Malone London’. Helpful mum! Eventually she put on her glasses and text me the name of the perfume she had been loving so much, it was of course, Shay & Blue, Blood Oranges. I told her I also loved their fragrances, but I was a fan of Dandelion Fig, Salt Caramel and Blacks Club Leather and I was yet to try Blood Oranges. Then a few months later, I was at a Shay & Blue event and I was kindly given a handbag sized bottle… just like my momma-bear, I was hooked! 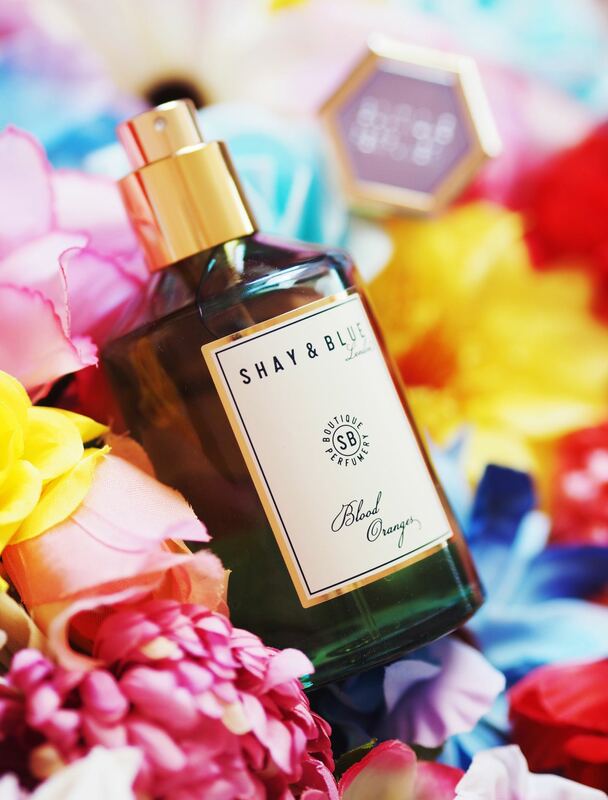 There are SO many iconic fragrances in the Shay & Blue collection, but I think Blood Oranges has to be one of my very favourites, or at least my favourite for the summer months. It opens with the most intense scent of fresh, ripe, juicy dark oranges, mixed with a hint of a dry bark, green leaves and warm sunshine. It quickly peels opens to reveal leathery notes which are smooth, dark and opulent, they remind me of spice markets or souks selling handmade leather goods, mixed with the familiar scent of the leather in hotel bars in Soho, London. At the base of the fragrance is sensual musk, warm sweet amber and hot charred woods. 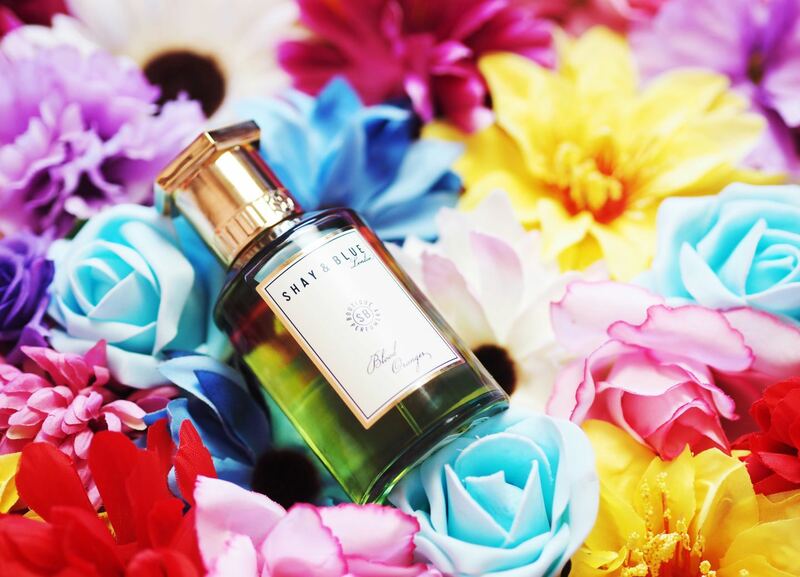 Perfectly rounding off this simple but perfectly balanced summer fragrance. 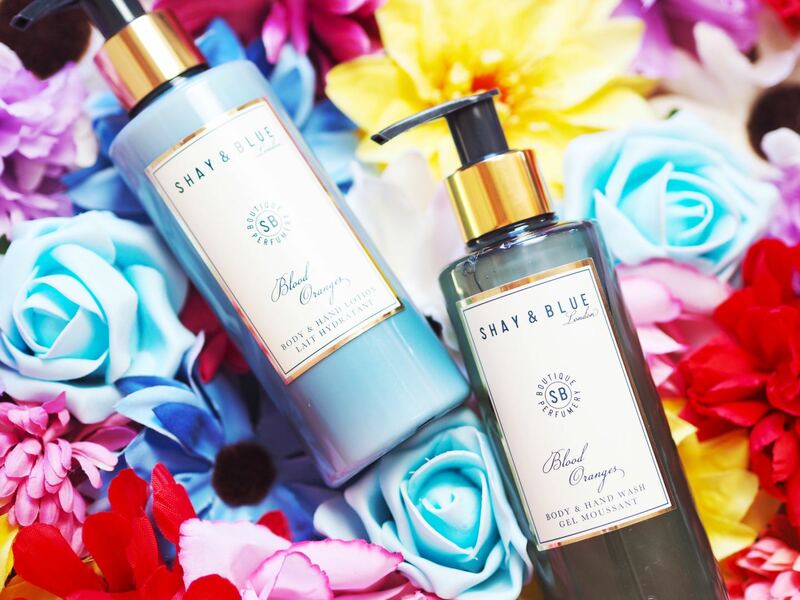 If you love brands like Jo Malone and Atelier Cologne, then you need to try Shay & Blue, I promise you won’t regret it! 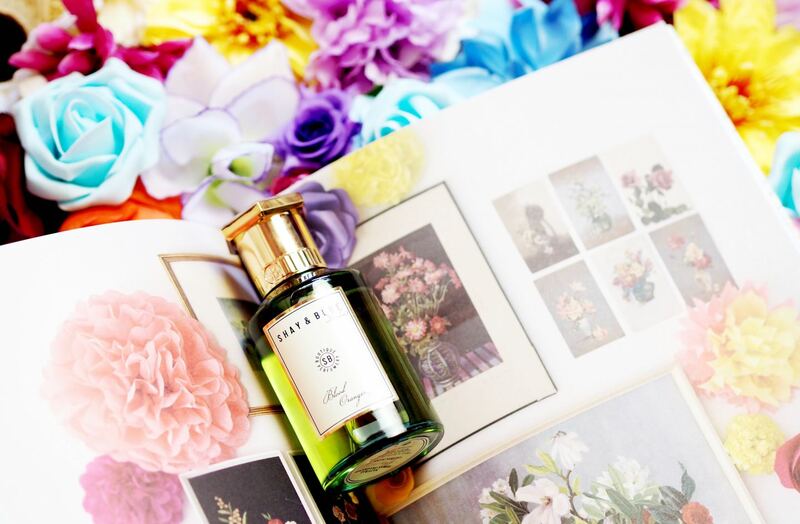 The quality of their fragrances is flawless, all their ingredients have such a plucked-from-nature feel to them and it never fails to surprise me how reasonably priced they are. Wanna know why? Because founder Dom De Vetta loves fragrances and wants everyone to be feel and smell their best every day. Isn’t that lovely? Shay & Blue Blood Oranges is available Online and priced at £55 for a 100ml bottle. This fragrance is also available as a hand & body wash, hand & body lotion, candle and Rich Almond Hand Crème. I got this in an advent calendar and have recently finished it up. I love citrus perfumes like this and although I know it’s a bit of a gamble putting a scent in an advent calendar, I’m really glad they did as I hadn’t tried anything from this collection before.